Before I get into things you may be wondering, what is Animal Crossing? Well, here's a brief explanation. The first game of the ongoing series Animal Crossing came out in 2001 and is a "life" simulation game created by Katsuya Eguchi and developed by Nintendo. I say "life simulation" very loosely due to the fact all the non-playable characters are animals and well, I think you get it. 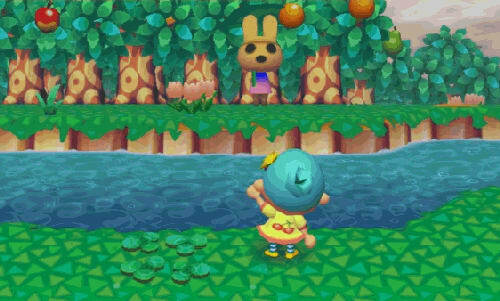 In the past Animal Crossing games, players would arrive into a new town as a villager and go about their day carrying out various fun activities such as fishing, bug hunting, fossil finding, decorating, etc. We can't forget about socializing and building friendships with adorable animal neighbors. I mean c'mon, is there anything more pure than that? In one of the recent Animal Crossing games, Animal Crossing New Leaf, players are introduced into a new town as the supposed mayor. 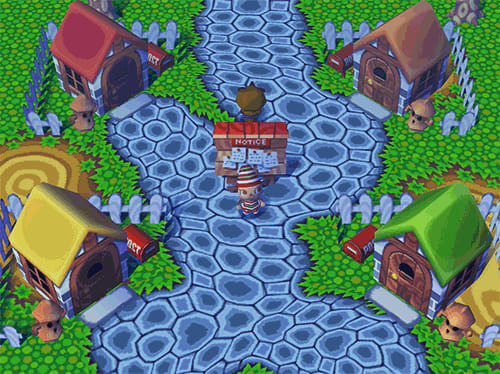 The game still includes the same structure as the past ones but allows the player to customize their town more, making the game more personal. Now, if you're wondering how this game could possibly relate to any sort of responsibility, don't worry I'm getting to that. I began playing Animal Crossing Wild World when I was about four. At the time, I thought it was just a fun game to pass time in an imaginary world I had created on my Nintendo DS. But as I got older, and continued playing more recent games in the series, I quickly realized it was much more than that. In the game, currency is known as "bells." Players obtain bells by selling things they collect, find, or buy. By saving up bells, players could pay their "mortgage" which simply means just upgrading their house to be bigger or add extra rooms. Players can also use their bells to buy things such as furniture, clothes, and even donate towards projects that up their town rating. Just like in the real world, we save up our money to pay for things we need or would like. Rent, bills, clothes, education, food, train tickets, etc. Essentially, everything in this world that we need to survive has a price tag. At a young age, Animal Crossing taught me the importance of saving my money. Everyone has their daily dose of stress. Whether it's school or work assignments, job interviews, first dates etc., it's inevitable. This past year, I found myself in a very dark place. After moving to a new state, starting a new school, job interviews, attempting to make new friends, and deadlines deteriorated my mental health. One day, I picked up my 3DS and fell back into Animal Crossing. Feeling that sense of relaxation for once was amazing. The game goes at your pace, no deadlines, no completion dates, just the player and their small peaceful town. Everything is so pure and innocent. Just the player and their own little town where they choose what happens. Since I am only 17, most of what happens in my life is not in my control. Being a mayor of an imaginary town and deciding what I want my town to grow into allows me to feel like I have control of at least one thing. Animal Crossing has taught me some important life lessons. From saving my money, (which I am really bad at) to helping me mentally, I absolutely love this game. If you are considering looking into the games or even playing them, I highly recommend. Some may say, "those are for kids! Why do you play them? ", but trust me, as a 17-year-old girl applying for colleges and working almost a 9-5 job, just give it a chance.